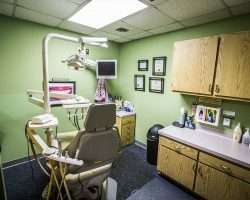 Preventive Dentistry Made Easy In Alma, MI! Home > About Us > Blog > Preventive Dentistry Made Easy In Alma, MI! Our Alma, MI dental team takes a gentle approach to preventive dentistry. We make it our mission to make every visit a comfortable experience for you. We also aim to make t as convenient as possible for you to get the quality care you deserve. Our leader, Dr. Thomas McDonald, is trained in orthodontics, endodontics, sedation dentistry, crowns and bridges, CEREC technology, implant dentistry, cosmetic dentistry, and more. So, for a general dentist’s office, we really can do it all! Simply put: healthy teeth and gums are rooted in good oral hygiene habits at home and regular trips to the dentist. As long as you are coming around, Mid-Michigan Dental Excellence will take care of our part. Keep reading, and then be sure to get in touch with us to arrange for your next teeth cleaning and comprehensive dental exam. Once you are entrusted to our care, we will give you plenty to smile about! Your oral health begins at home and your at-home care begins with brushing. The American Dental Association recommends brushing your teeth twice a day, for two or more minutes per session. Brushing will help protect your mouth from the tartar, plaque, and bacteria that can cause tooth decay and gum disease. In addition to brushing, you should be also be flossing, rinsing with a fluoride mouthwash, and drinking plenty of water. These are the sort of things that will keep you on the good road during the months between checkups, which brings us to our next point: you need to schedule dental exams and teeth cleanings every six months, at least! What you do at home is all to the good. BUt in order to truly maximize your oral health, you will need to have regular dental exams and teeth cleanings from us every 3-6 months. This is so that we can detect any developing issues in your mouth or elsewhere in your body. Consider this: problems like gum disease, oral cancer, etc. are always easier and less costly to treat early on. Prevention and quick treatment make a lot more sense (and are less costly and painful) than finding out about something later on and trying to fix it in then. 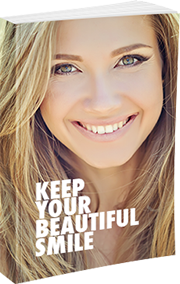 Our professional teeth cleanings will also help keep your teeth and gums in excellent shape. This service will build upon your efforts at home and will take care of any remaining tartar, plaque, bacteria, etc. We won’t ever try to lecture you or make you feel worse about your situation, even if you have been gone awhile. What’s more, if you are dealing with any level of dental phobia or anxiety, we can help put your fears to rest, quite literally, with sedation dentistry. All you have to do is ask for that kind of assistance and we’ll make it happen. You may have been conditioned to think that visiting the dentist every six months is a bit much. But, like we already said, the more you neglect your teeth and skip those regular cleanings and exams, the more likely a small problem like a cavity or gingivitis can turn into something dangerous and costly to clean up. For more information about our professional teeth cleanings and dental exams, or to make your next appointment, call us at 989-796-4848 today. You can also contact us online!